Though this may not work for every family, it’s definitely an idea worth considering. After all, depending on how much candy your kids take in from trick-or-treating, they may have a supply that lasts for days or even weeks — and a steady diet of sticky sweets is just what their teeth don’t need. Why is candy so bad for teeth? Disease-causing oral bacteria feed on the sugars in the candy. 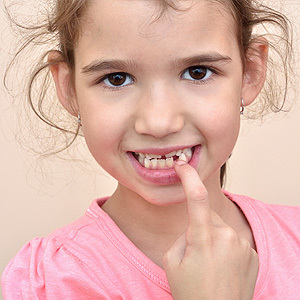 In the process of breaking down the sugar, the bacteria produce acids that start to break down the protective enamel covering of teeth — forming small holes, or cavities. This allows the bacteria to get deeper inside the tooth, increasing the size of the cavity. While this can happen with any food that contains sugar, the stickiness of many candies make them harder to clean off the teeth — essentially giving the bacteria more time to do their damage. Is there anything that can be done — short of the candy exchange Mayim Bialik has managed to implement in her house? Nothing that would be as effective as eliminating candy altogether as Mayim has done, but there are a few ways to reduce the potential for harm. For example, you can try to weed out the stickiest candies, like taffy, and hard candies that stay in the mouth a long time. You can make sure your kids eat them only as a dessert at mealtime, and not throughout the day. And you can pay extra attention to how good a job your kids are doing with their daily oral hygiene. They should be brushing twice a day and flossing at least once each day. Drinking some water after eating a piece of candy can also be helpful. It’s also important to keep up a regular schedule of routine dental visits. So if it’s been a while since your kids have been in for a checkup and cleaning, please contact us to schedule an appointment. 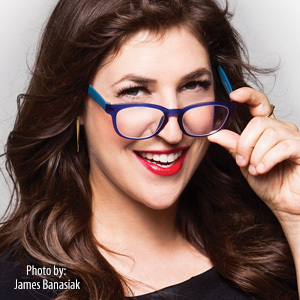 You can learn more about kids’ oral health by reading the Dear Doctor magazine article “Dentistry and Oral Health for Children.” And Dear Doctor’s full interview with Mayim Bialik is available here.